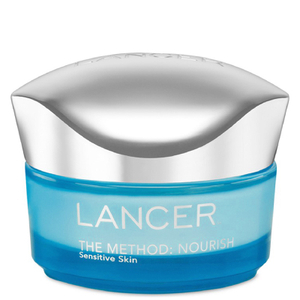 Achieve a calm, comfortable complexion with The Method: Cleanser Sensitive Skin from Lancer Skincare, a brand who deliver technologically advanced skincare products. Infused with oat and licorice root extracts, the gentle cleanser eliminates the build-up of daily dirt and impurities. Ultra-mild and fragrance-free, the cream cleanser purifies skin without over-drying or tightness. Apply a small amount to damp skin then gently massage over face, neck and décolleté, avoiding the eye area. Rinse thoroughly. Water (Aqua), Sodium Cocoyl Isethionate, Stearic Acid, Glyceryl Stearate Se, Cocamidopropyl Betaine, Cetyl Alcohol, Glycerin, Avena Sativa (Oat) Kernel Extract, Lavandula Hybrida Oil, Dipotassium Glycyrrhizate, Sodium Pca, Panthenol, Potassium Sorbate, Xanthan Gum, Caprylyl Glycol, Phenoxyethanol, Chlorphenesin, Methylisothiazolinone, Methylchloroisothiazolinone, Linalool. Full ingredients list is subject to change. 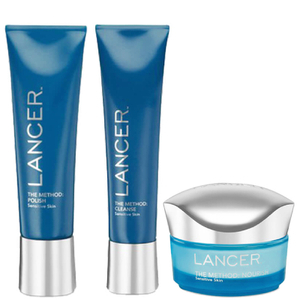 Please Note: Lancer Skincare can only be shipped to the UK, EU, Hong Kong, China, Korea and Japan.